A special eye protein is helping birds to “see” Earth’s magnetic field! If that’s not cool, I don’t know what is. The ability to see Earth’s magnetic field, known as magnetoreception, relies on the presence of specifically the blue wavelength of light. The complex process involves “radical” intermediate molecules which are sensitive to Earth’s magnetic field. The Earth’s magnetic field, as it relates to the direction the bird is facing, could alter the intermediate radical molecules differently, giving the bird a sense for where it is facing in relation to the Earth’s magnetic field. 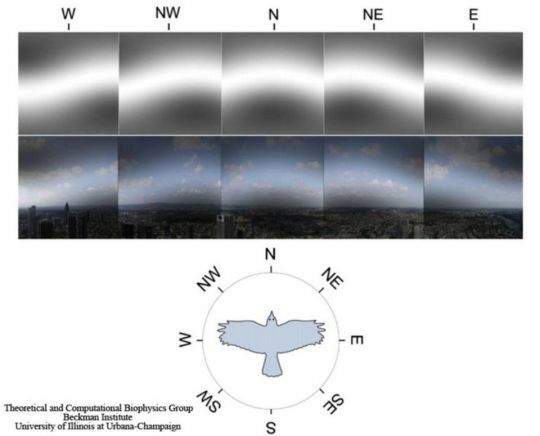 While the exact way birds visualize Earth’s magnetic field is part of further investigation, scientists believe the Cry4 protein acts as sort of a filter over the bird’s vision. This filter would allow birds to see a sort of compass of the Earth and direct their migratory flights accordingly.